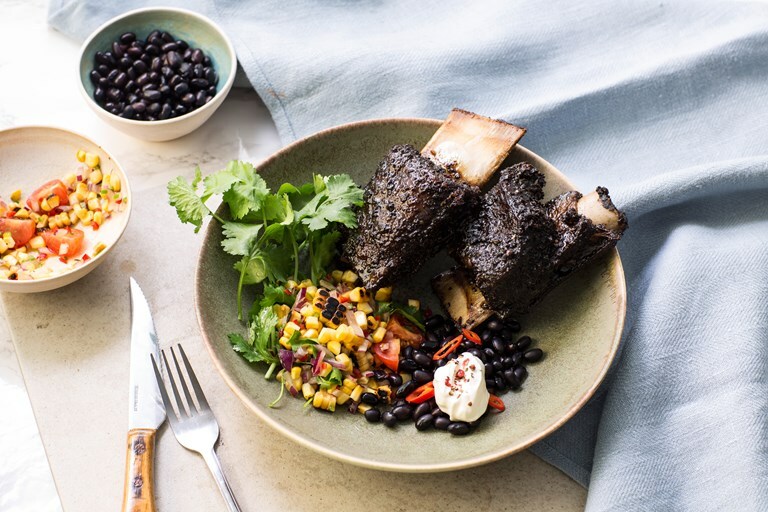 Helen Graves serves up a smoky, spicy barbecued short rib recipe, infused with coffee and chipotle chilli spice rub for a heady finish. The spice rub is made my pulsing dry ingredients in a Vitamix for a beautifully consistent finish. Serve with your choice of barbecue sides. For this recipe you will need a barbecue and a Vitamix Pro750 fitted with 0.9l Dry Grains Container.